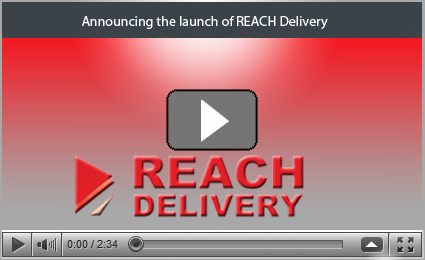 The REACH Delivery Service for manufacturers, importers, distributors and downstream users supports the document delivery, receipt, control, update, audit and tracking requirements as set out as part of the REACH regulations, within a secure, multi-national environment. Simple to use and free to recipients, REACH Delivery automates, guarantees and controls the transfer, receipt and remote update of all REACH documentation ensuring compliance by guaranteeing that only the very latest documents are in use. As part of a comprehensive system, it also provides for alert mechanisms, audit trail, reporting and automated removal of outdated documents. The service is based on a communication and software environment, capable of supporting the document delivery, control and tracking requirements as set out as part of the REACH regulations. At the core is a secure, internet-based communication gateway, linking directly to your customer’s desktop. It will automate, guarantee and control the transfer and update of Safety Data Sheets and all other associated REACH documents, ensuring compliance by guaranteeing that only the very latest documents are in use by your customers and staff. The service also provides for full compliancy support, alert mechanisms, full audit trail, reporting, customer response forms and removal of outdated documents. For your customers the service provides instant access to a local library of the very latest REACH documents and allows them to onward distribute these documents internally under the same controlled environment. The service also supports the linking and tracking of documents throughout. The standard service is intuitive to use, requiring no lengthy implementation and training process. Costs can be kept low on a ‘pay as you use model’ with reduced capital expenditure or enterprise licenses implemented. Costs relate only to the originator with a low per document sending charge. Recipients of documents can use the service without charge. The service is multi-directional and entirely secure with usage and audit trails discrete for each primary user of the service. The scope is international and multi-lingual. Users of the service are able to use a central contact database as well as adding their own customers and contacts regardless of location.